At this moment, you probably know a bunch of things you could do to improve your business, right? If only you had the time to implement them. What if, with just 5 to 10 hours of your time you could make a very significant, measurable difference to your business’ growth potential, to grow it by 20% to 50% in just 4 to 8 weeks from now? 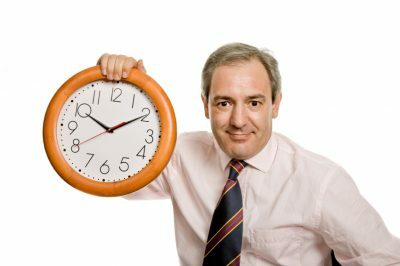 Would you ‘make time’ to apply those 5 to 10 hours of work, for that 20% to 50% potential increase in sales income and/or profit? What difference would a 50% increase in income make to your business? Would it solve a cash flow challenge? Would it make your personal life easier? These ‘what-if’ questions are super important to consider, and that’s because they tap into strong feelings that uplift you and create energy – and that energy essential to overcome the resistance to doing what it takes to achieve those potential business goals. From 21 years of business mentoring business owners, it’s been common to see most business owners don’t possess a clear vision of what they really want. Even fewer have any inkling as to what’s possible to achieve with their business very easily and very rapidly, but that’s going to change with this post. The first ingredient to growing your business by 20% to 50% is to be prepared to work ON your business 5 to 10 hours, to implement information. Make Time for Your Potential Business Success! Q: Are you as successful as you’d like to be? Is your business at the ultimate level you thought it would be years ago, and giving you wonderful personal rewards with a high salary? If you’re reading this, then you’re probably not at that level of fulfillment – and congratulations for being here. Setting aside time to work ON your business is a wonderful and also essential habit for great success. It’s also a statement to yourself and the ‘universe’ that you definitely want a better business – because your actions demonstrate it. Make a decision today to make a positive difference to your business and decide which days and at what time you will definitely work on your business. My recommendation is a Monday morning and a Friday afternoon, but any day at any time is better than no day or no time. With your intention set to work on your business, it’s time to introduce strategy “Types” as a topic. All strategies fall into categories that for the sake of a name are called “types”. Strategy types are just uses of your time that definitely help to improve your business. This is a good list to start with to start focusing on strategy ‘types’. Did any jump out at you that you need to pay more attention to? Experience is a great teacher and decades of studying 300+ strategies, and testing them all repeatedly (with clients’ businesses) has identified some strategies that have EXPLOSIVE potential for growth in many different businesses. Identifying the type of strategy to rapidly grow your business is the best place to start, not with any specific strategy. One businesses in an industry will require very different types of strategies for rapid growth, so keep that in mind. A lot of business owners jump right into strategies that simply will not work cost-effectively with their business even though another business in a similar industry has had success with it. One example is Google Adwords. For traditional B2C service businesses it can be a super cost-effective strategy, yet for other traditional B2C service businesses it can be a huge mistake to even attempt it as it will not be cost-effective as a strategy. A major influence on this strategy’s success is the Average Sale Value and Average Yearly Value of a typical client for the business, and these are figures are critical ‘decision-making criteria’ for Google Adwords – before anything else is considered about this strategy. A figure to ‘Acquire’ the client on average that has been recommended for decades is 10% of the Average Yearly Value. Some businesses can go higher than 10% but that’s a very good guide to start with. Most low Average Sale Value/Yearly Sale Value businesses will find it extremely hard to acquire clients profitably from Google Adwords. Marketers may argue this point, but by understanding both financials and marketing (which is essential) this figure has a lot of merit. Careful number-based analysis of your own business’ figures can very quickly determine the likely success of any paid advertising promotion, and it’s good to know that in advance (a brief discussion will tell) before spending thousands on something that is doomed to fail. Each of these (and there’s more) have seen “explosive” growth results with clients businesses. Bernie a builder – saw his monthly revenue increase from $30,000/month to $90,000/month, in one month after applying strategies of one type. Milton a plumber – saw his cash in the bank increase by $120,000 by using one of those types above. Ron a real estate agent – experienced 367% increase in monthly sales, in one month by applying strategies from one of these types above. John – saw his engineering manufacturing company increase sales from $600,000/month to $1,000,000/month in one month by applying strategies from one of the above methods. These are just a few of many more examples clients have enjoyed. The best strategies to start with are always the free ones! If you own a traditional service business, ALL of the above strategy types will be very beneficial to consider for a 20% to 50% growth increase in just 4 to 8 weeks. The next step is to understand more about each strategy and why it’s important to consider. All businesses need to introduce them sooner or later (inflation is around 3%, so that’s a minimum price rise each year). Knowing exactly how and when to introduce one is where wisdom is valuable. You can implement an all out price rise of 10% tomorrow, or you can take a more conservative approach with a price rise. Most business owners are a bit nervous about introducing a price rise. Do you feel nervous about it? The nervousness comes from the worry about losing clients from a price rise, and obviously not from all the extra cash you’ll see! Losing some clients from a price rise isn’t actually important or something to worry about. That’s because your business’ net profit is more important than losing clients. If you raise prices and lose clients, but have more in net profit, then that’s a good thing isn’t it? It means your business is making more with people working less, and your own time is then freed up – so where’s the downside? There are calculations to determine what percentage of clients, or income you can comfortably afford to lose, after introducing a price rise, and those numbers can be very reassuring (as clients have often said). 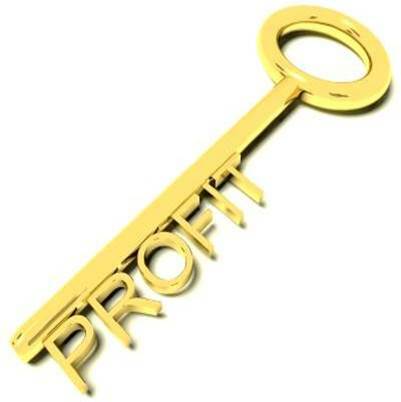 Take a business with annual income of $500,000 with a net profit of $50,000 (10%) that is considering a 10% price rise. After introducing it, the potential yearly income would then be 10% higher, taking it to $550,000. However, let’s say that 20% of clients stop buying from the business as a result of the price rise – (this percentage can easily be reduced with other very effective strategies). The net profit (what matters a lot more than revenue) would still be $30,000 higher, or $80,000 in total on the $440,000 revenue (the net profit reduced by 20% from the potential of $100,000). Now where’s the downside in this result? The reality is the business would have 20% less clients, which frees up 20% more time, and that frees up your time too because you can pass on your current tasks to employees (who have more time with less clients to do work/jobs for). 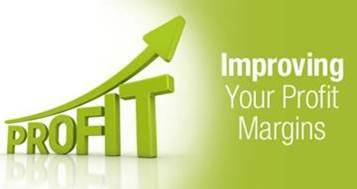 Your business is making a higher profit so you have more cash in the bank. Why is all that so feared? It just makes good sense to consider a price rise, even with a risk of losing clients. 15+ years of looking over Profit & Loss Statements has proven more business owners need to raise their prices! There’s also far less risk in doing so that most people imagine. You’re extremely unlikely to lose 20% of your clients from a price rise, however there are a few exceptions. The evidence that supports all this was seen during mentoring sessions with business owners, by first of all training them to measure conversion and retention rates before a price rise, and then seeing the same figures months later to see the facts about what happened. One price rise of say 10% can often increase profit by 20% to 300% (depending on the net profit margin before the price rise), but income would only increase by that 10% amount. Which is more important though, income or net profit? This is a very big “untapped” opportunity for around 90% of all service businesses. The reality is that in a common trade-service business, people tend to ‘shop around’ for prices, and like to get three prices (or quotes). The unsurprising fact is that most service businesses (identified from training business owners how to measure using tools provided with our courses), have a “low” conversion rate. What’s a “low” conversion rate? Anything under 45% – on cold leads. Before you think, “my conversion rate is much higher” – this figure is for “cold”, never-talked-to-before people, and not previous clients who came back to buy again. Previous client conversion rates should be over 75% for most businesses. Thanks to measuring with hundreds of businesses, it was seen that conversion rates are often 25% for a large percentage of service businesses and can range from 2% (one kit-home manufacturing client’s figure) to 40% (that is rarely exceeded on cold leads). This is a popular range, but there are a small percentage that exceed this range. When conversion rates are under 70%, it’s not hard to increase them by 10% in just 4 to 8 weeks. Q: What’s your business’ conversion rate from lead to sale? A retail client who owned a go-kart store had a conversion rate averaging 72% (for a month). After preparing a well thought out strategy with training over a month, it jumped to 100% the week it was introduced. Every single person who contacted the business purchased something. The week’s ‘perfect’ result didn’t stay at that level, it dropped back to average 85% (over the month), which is still a HUGE increase in income as a result of the strategy being introduced (in 4 weeks). By the way, an increase from 72% to 85% is NOT a 13% increase. The increase is not calculated by subtraction, it has to be calculated by multiplication. A 10% increase would increase the conversion rate to 79.2%, so to increase it to 85% is more like 18%, or nearly 20%. That’s a nice figure seen as an increase in the business’ revenue, in just one month, don’t you think? These strategies are incredibly effective. Bernie the builder (mentioned above) saw a $60,000 increase in income per month, by using these same strategies, even though he was in a service business, not a retailer and in a completely different industry. That’s the power that comes with knowing strategies. This is a big subject to try to give you specific advice on here in an article, but the “secret ingredient” in achieving these types of results is “execution skills”. A website can be a very poor performing strategy, if poorly “executed” – and unfortunately the majority of websites are poorly executed as a strategy (even though the site may look nice and function well). These have nothing to do with how well it is ‘executed’ – or how effective it can be. There are so many things you can do to ‘optimise’ your website, that go way beyond what a good website developer does, and these ‘strategies’ cost you nothing to implement yourself (just 10 to 20 hours to learn and then apply, and that’s all). Selling skills are the same. If you talk to potential clients, or existing clients, how you present yourself and communicate greatly determines your ability to win the client (make the sale) or lose them if you currently have them as a client. You’re always selling if you’re talking to someone who can give you money, but have you been professionally trained in this super important subject? 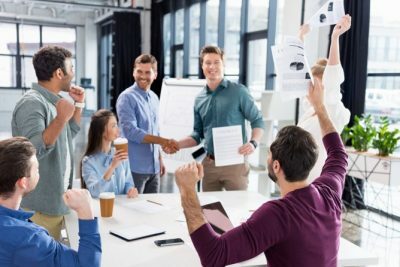 If you haven’t paid money to learn selling skills, which need to be based on advanced rapport building (not old fashioned ‘pushy’ or ‘close the sale’ type of selling), you’re almost certainly missing out on significant income increasing opportunities. 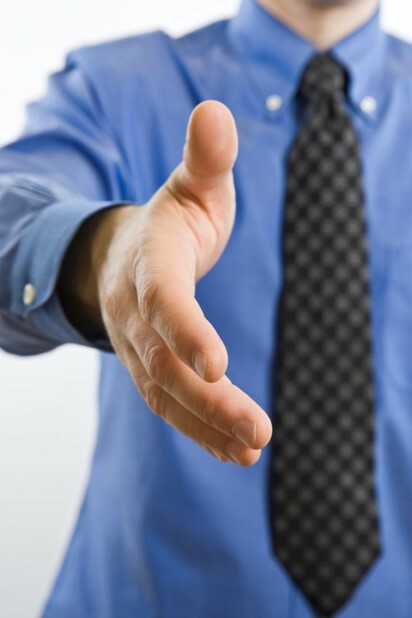 Everyone who talks to a potential customer (answering the phone, or greeting people for the first time face to face) is a “salesperson” – because they are in the prospect’s eyes! Those people (including yourself) would benefit enormously from training, to learn the “execution” skills that go with the role. Ron, the real estate agent mentioned above, saw a 367% increase in his monthly income, the following month after 8 hours of selling skills training, and he’d been in real estate for over 25 years and had attended sales training course previously. That’s just an example of what a difference just 8 hours of effective skills training can make to a business. Ron is just one of over one hundred great results of clients. There are so many ways to increase leads to your business… for ZERO cost, and you’d be amazed at just how easy it is to do it yourself with just 8 hours of your time. EVERY business can generate leads multiple ways for free. Often the best quality leads can come from zero-cost lead producing strategies too. So how can you start enjoying free lead generation, for your business? Start with “optimisation” of your website. Optimisation is a very big subject and you’ll get different points of view from multiple websites if you type in ‘website optimisation’ into Google. Images (are they ‘user-friendly’ and interesting to your visitor? Wording – do you have a strong, interesting main headline? Body text – is it all about your business, using the word “we” or about what customer get? On-page SEO – have all your TITLES been carefully chosen, to tell Google what your pages are about? Off-page SEO – have you listed your business in directories etc. to get citations to boost your rank? Google My Business – is your business appearing on Map results, for multiple phrases? Is your website generating data in Search Console, so you can easily see where to improve? That’s some of the very powerful ways to optimise your website – for free. Some of these require detailed instructions, and WHY they are so important and powerful in regards to generating loads more leads. A free online marketing course is a good place to start. There are plenty out there. Doing so can increase visitors to your site by 300% (seen by facts in Search Console) and phone calls to the business. Considering this is a FREE strategy, you’ve got nothing to lose to learn all about the above points, (but you miss out on rapid benefits if you spend months trying to learn all these yourself instead of investing in training to learn it). To grow your business by 20% to 50% with just hours of your time is easily achievable if you first of all start by deciding what strategy “types” you are best to focus on. Choosing a paid advertising strategy like a PPC Facebook or Adwords strategy is easy, as you can outsource it, but its rarely the best strategy to rapidly increase sales and income in weeks. With any PPC strategy you’ve also got the ‘learning curve’ cost, which means you’ll burn a hundreds or THOUSANDS of dollar, before you (hopefully) get results. Learning yourself is just smarter, and gets much faster results. From what you’ve learned here in this article, are you feeling a little more confident? Make a comment about your confidence level below. Any questions you have will be answered. When taking all this in for your own business, the strategy type (refer to the list above) is the best place to start. If you want to get that 20% to 50% growth in your income or net profit, sometimes allowing someone to guide you is smarter. Someone who has been where you are, who has grown your business and has experience with hundreds of strategies. You may be surprised at how a little bit of training in areas you’ve never paid for an education in, can bring business growth results faster and bigger than you can even imagine. That’s been the case for thousands of other business, so why not yours too? If you’d like to talk to someone about your business needs, and more importantly your business’ growth potential, why not book in for a ‘breakthrough meeting‘ with a business growth expert? It’s powerful, mind-expanding, thought provoking and free. Thank you for your comment Justyna.